Registrations are now being excepted for the 3rd Annual Big Sky Ski Weekend. 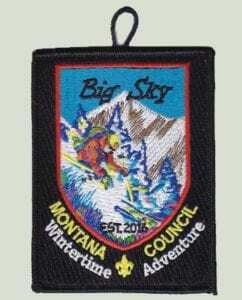 Scouts and Scouters from all over the state will gather Jan 11th – 13th for some fun on the slope in Big Sky, Montana. We will close registration on Dec. 31, 2017, and all fees must be paid by this date. Registration is capped at 100 people, so don’t waste any time! There are scholarships available for Scouts that need financial assistance and we do have some volunteer opportunities to help run this event. For questions please contact Peter Jones, peter.jones@scouting.org, 406-431-2705. To register, contact the Montana Council Service Center 406-761-6000. Please register by Dec. 31!